The fight for women’s rights, to have my say and to be heard. Growing up I never questioned my right to vote. I had options, I could dream, I could change the world. My mother. Hard working, selfless and determined. Never able to access high school or tertiary study. Coming from Ghana, money can often be a barrier for education because of the low economic surroundings. The right to vote, gives women a choice to their own bodies and their own life. As a young women growing up, I am thankful. Thankful that I can choose, that I am heard, and that I can make a difference. At University, I want to study towards a Bachelor of Social Science and International Relations. 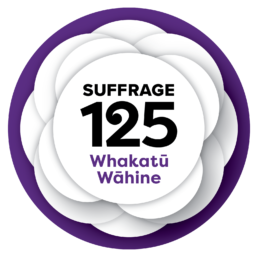 In New Zealand, the idea that women cannot vote is unfamiliar. Yet there are women around the world who don’t have this same opportunity. With this, I plan to head abroad, helping those in poverty and in particular women across the world, improving educational rights, giving empowerment and allowing human rights to all. As women have taken a stand for their freedom, I will also do the same for myself and others.